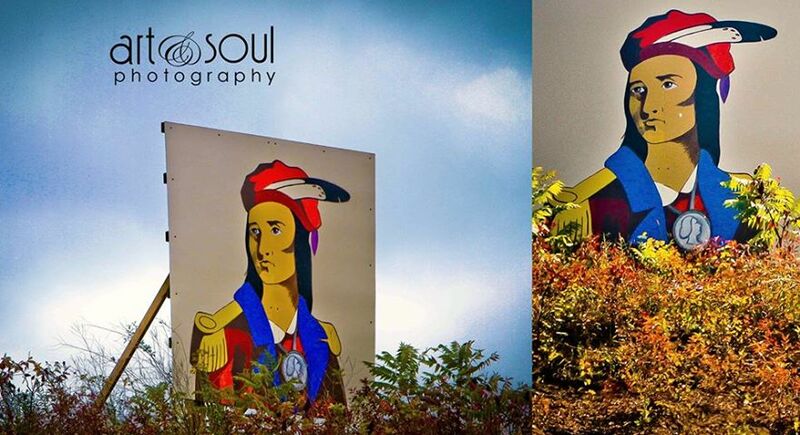 This beautiful rendition of Tecumseh is one of the 30 images on the Trail of Tears Barn Quilt Trail in Chippewa on the Thames First Nation. Thanks to Glenda Cochran, Art & Soul Photography for her great work. Follow this map to see this image and other First Nations Barn Quilt Art.